Gift items and suggestions. For the lover of Murano Glass and Venetian Glass, here's a few items that are for the home. NOTE: Gift Items do not qualify for Free Shipping. 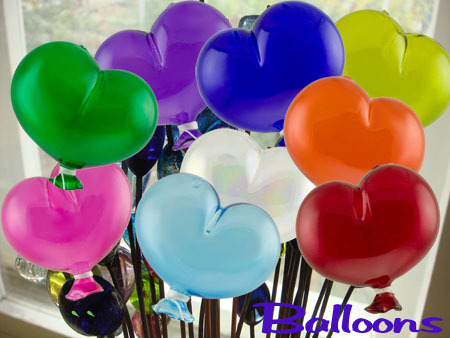 Take a look at these new Balloons, mouthblown in Murano, they make a colorful decoration in any room. Mix and Match.